If you have followed this blog for awhile or follow me on Instagram, you will know that I am the proud owner of a beautiful Springer Spaniel called Daisy, who is just over three years old. I don't have any children, but it doesn't matter because she is my baby - she is spoiled rotten and I can't help being a huge softie with her. You can find out a bit more about her in The Furry Friend Tag post I did awhile back here. 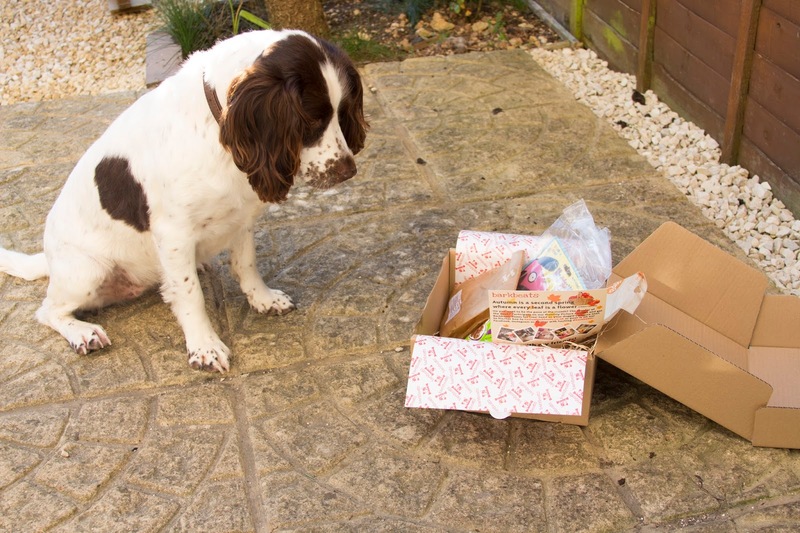 Daisy was lucky enough last month to receive her very own treat box from Barkbeats, a monthly surprise subscription box for dogs with toys, treats and grooming products. 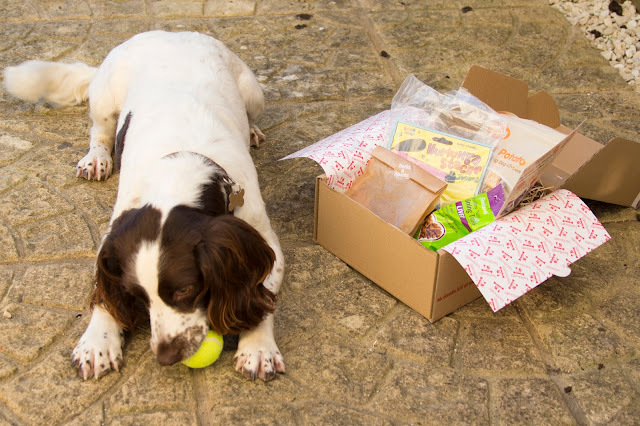 The boxes are tailored to the size of your dog (small, medium and large) and contain 5-6 full size products every month. Subscriptions can be monthly at £19.00 per month, six monthly at £14.00 per month or annual at £13.00 per month and delivery is free. What I love is that Barkbeats donate at least 10% of their profits from the boxes to various rescue dog homes and shelters, all of which are listed on their website here. Daisy absolutely loves playing ball, so when the box was placed in front of her eyes instantly fell on the Kong! I love the fact that the box contains some healthy treats, as I'm becoming a bit more conscious of what she eats in this respect and the dried sweet potato pieces went down really well, so I'd like to get some more of these for her. Although I don't have the need for training treats anymore, the Feelwells liver treats are small so they're ideal for putting in your pocket and taking on a walk. Overall Daisy and I are very impressed with her Barkbeats box and we would definitely get one again, although most likely on an ad hoc basis. 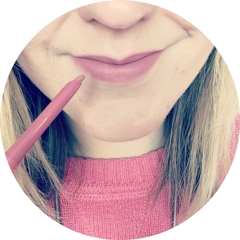 I think it's a great way of discovering new brands and products, especially ones you might not get from mainstream shops like Pets at Home and supermarkets. 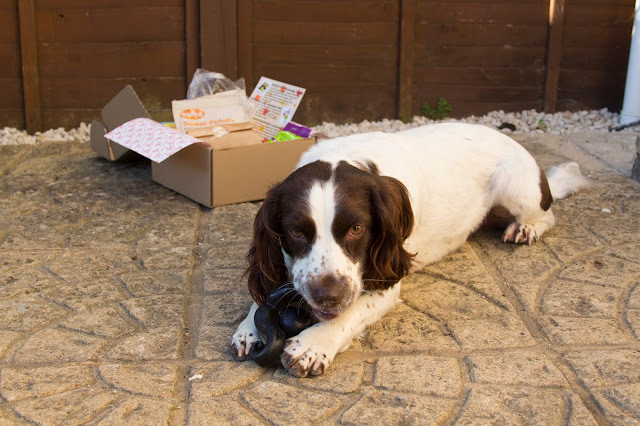 To find out more about Barkbeats and purchase your own box, you can visit their website. Have you ever bought a subscription box for your pet before? What do you think of this Barkbeats box? Oh man, she is a beaut! 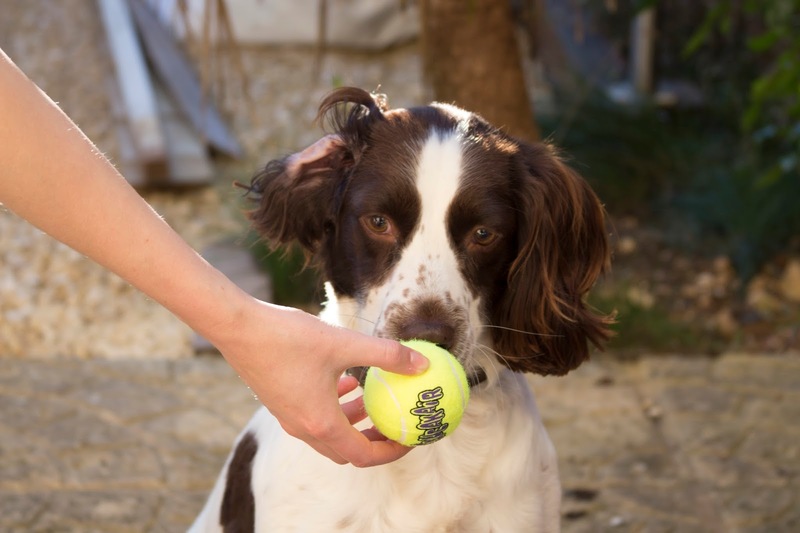 I LOVE Springer Spaniels!